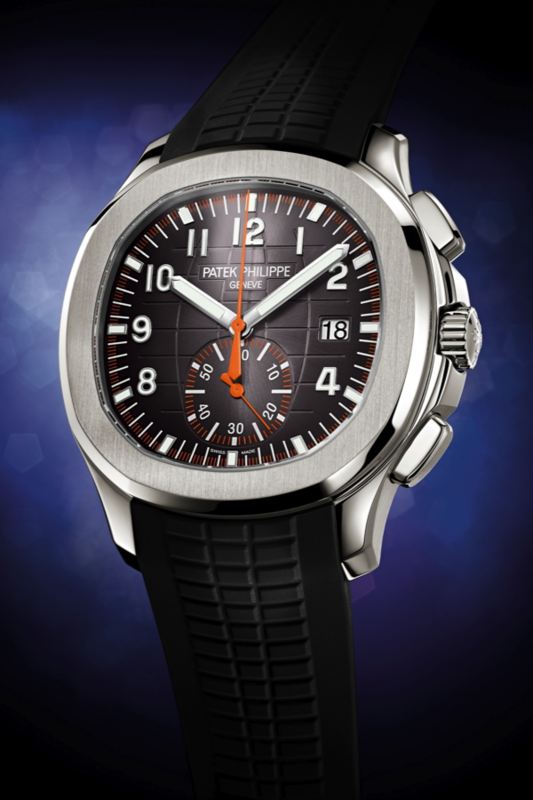 The Nautilus now boasts Patek Philippe’s thinnest perpetual calendar while the Aquanaut sports a chronograph. 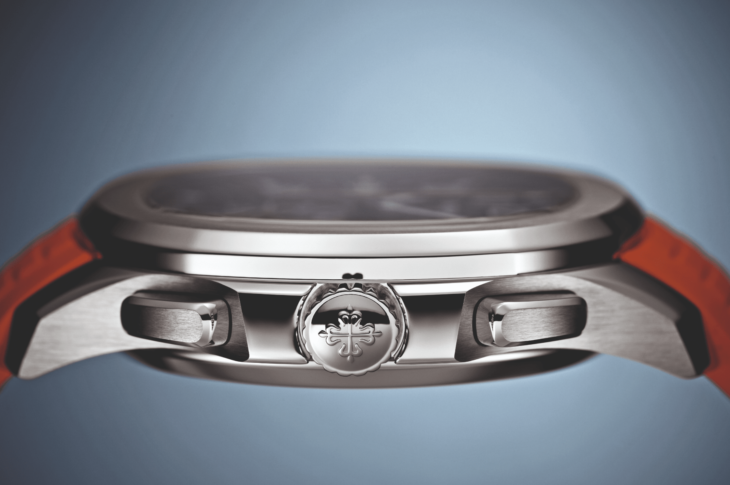 In the meantime, the Swiss maison has paired a world timer with a minute repeater with its own unique twist. Released in 1976 in a counter response to quartz crisis of that time, the Nautilus welcomes its first grand complication in the form of a perpetual calendar. Calibrated to automatically adjust the differing number of days of the months, including the periodically occurring 29 days of February (leap year), the Ref. 5740/1G-001 perpetual calendar is powered by the ultra-thin 240 movement with a 22k gold winding rotor engraved with the Calatrava cross. 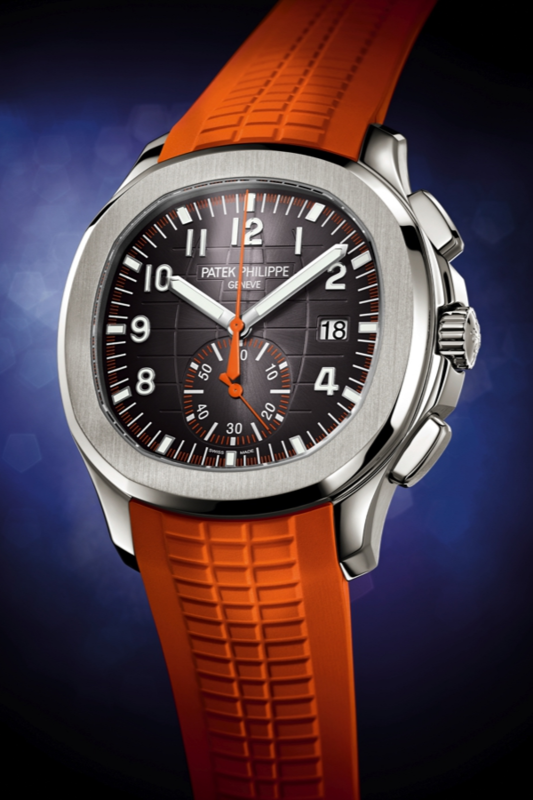 The analog calendar sub-dials – month and leap year indicator at ‘3’, date and moonphase at ‘6’, and day of the week at ‘9’ – are set against a blue sunburst dial with horizontal lines. 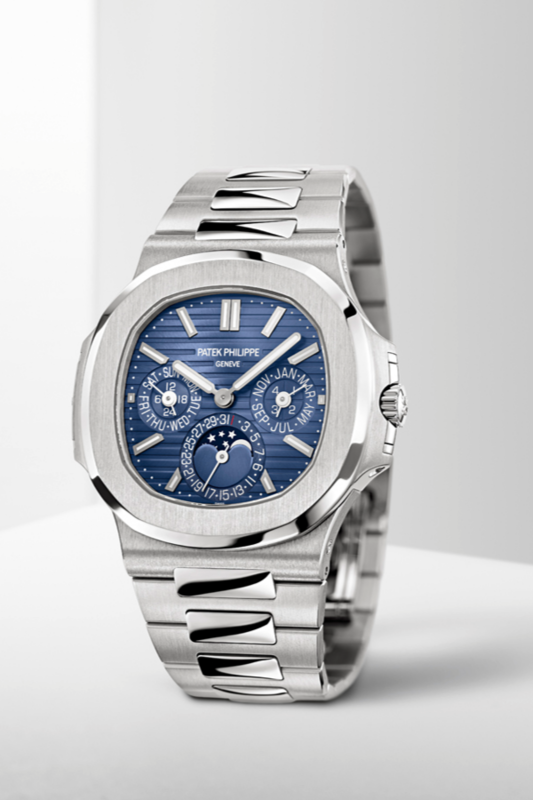 Nautilus’ iconic porthole case with octagonal bezel designed by the late Gerald Genta – who famously made the sketch at a restaurant during Baselworld seated across the room from Patek Philippe executives – is crafted in 18k white gold with satin-brushed surfaces and polished chamfers. 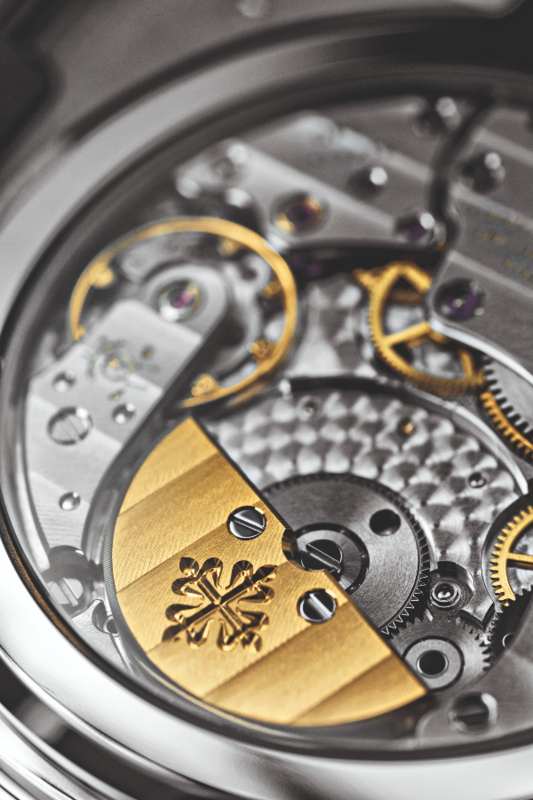 Similarly, the integrated white gold bracelet feature satin-finished lateral links and polished central links.